Our team is getting ready for Operation ONE LOVE, PART II ! This May 5 and 6, our team is heading back to Leyte. 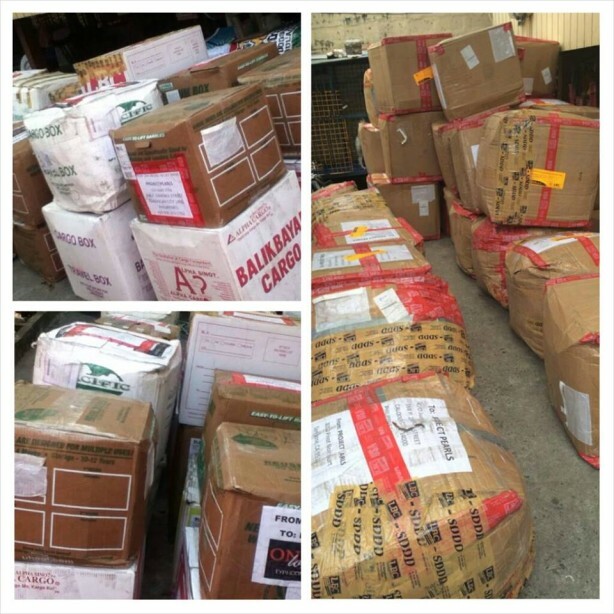 We will be bringing relief and rebuilding goods to Palo, Tolosa, Tanuan, Julita and Manlurip. We specially thank all our families, volunteers, donors who donated all these relief goods all the way from California. Thank you also to LBC Express for shipping these for free. Thank you Eton Corporation in Redwood City for the donated emergency radios and flash lights! March 1, 2014: We are happy to announce that 27 out of 47 boxes from the San Bruno/Bay Area Typhoon Haiyan Relief/Rebuild Drive AND 37 out of 57 boxes from the Sacramento drive has safely arrived at the Project Pearls Headquarter. With the amount of relief boxes LBC Foundation graciously sponsored, we understood that it was going to take months before ALL the boxes are received. Project PEARLS is THANKFUL that so far these BOXES of HOPE has made it one step closer to where they need to be. Our amazing team of volunteers are working hard behind the scene to facilitate these boxes and the ones to come. Carefully planning the proper steps to ensure that every single box and it’s content reaches the arms of those in need. It is a challenging task and a lot of work involved and we ask that you please continue to stay patient as we finalize the details. We humbly thank those who supported the relief drives, may it be a form of monetary donations, in-kind goods or by wishing as well by thoughts and prayers. To all the volunteers who made it all possible-THANK YOU! Our love also goes out to SAC HOPE – Hearts Open Peace Everywhere for embracing the cause! Please check the above links for relief and rebuilding efforts we have done with our volunteers, partners and friends.